From May 1661, her married name became Noel. 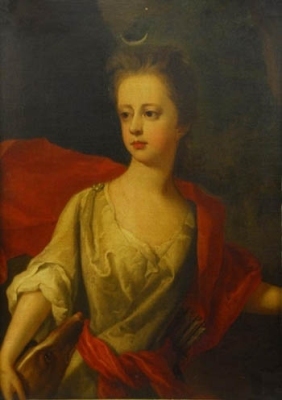 Child of Mary Herbert and Sir Robert Worsley, 3rd Bt. After her marriage, Susannah Rich was styled as Countess of Suffolk on 1 December 1646. From 1 December 1646, her married name became Howard. [S6] G.E. Cokayne; with Vicary Gibbs, H.A. Doubleday, Geoffrey H. White, Duncan Warrand and Lord Howard de Walden, editors, The Complete Peerage of England, Scotland, Ireland, Great Britain and the United Kingdom, Extant, Extinct or Dormant, new ed., 13 volumes in 14 (1910-1959; reprint in 6 volumes, Gloucester, U.K.: Alan Sutton Publishing, 2000), volume II, page 399. Hereinafter cited as The Complete Peerage. [S6] Cokayne, and others, The Complete Peerage, volume II, page 53. From 30 December 1687, her married name became Noel.2 From 12 March 1698/99, her married name became Sheffield. After her marriage, Hon. 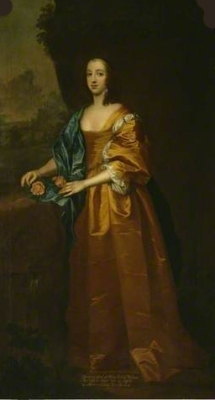 Catherine Greville was styled as Countess of Mulgrave on 12 March 1698/99. After her marriage, Hon. Catherine Greville was styled as Duchess of the County of Buckingham and of Normanby on 23 March 1703. [S6] G.E. Cokayne; with Vicary Gibbs, H.A. Doubleday, Geoffrey H. White, Duncan Warrand and Lord Howard de Walden, editors, The Complete Peerage of England, Scotland, Ireland, Great Britain and the United Kingdom, Extant, Extinct or Dormant, new ed., 13 volumes in 14 (1910-1959; reprint in 6 volumes, Gloucester, U.K.: Alan Sutton Publishing, 2000), volume II, page 53. Hereinafter cited as The Complete Peerage. [S6] Cokayne, and others, The Complete Peerage, volume II, page 399. Her married name became Noel. After her marriage, Lady Dorothy Manners was styled as Countess of Gainsborough. He raised a Corps of Foot and a Regiment of Horse.3 He held the office of Member of Parliament (M.P.) for Rutland between 1640 and 1643.3 He succeeded as the 3rd Viscount Campden, co. Gloucester [E., 1628] on 8 March 1642/43.1 He succeeded as the 2nd Baronet Noel [E., 1611] on 8 March 1642/43.4 He succeeded as the 3rd Baron Hicks of Ilmington, co. Warwick [E., 1628] on 8 March 1642/43.3 He succeeded as the 2nd Baron Noel of Ridlington, co. Rutland [E., 1617] on 8 March 1642/43.3 He was fined £9,000 as a delinquent, and his house at Campden was destroyed in the civil wars.3 His last will was dated 24 August 1681. [S6] G.E. Cokayne; with Vicary Gibbs, H.A. Doubleday, Geoffrey H. White, Duncan Warrand and Lord Howard de Walden, editors, The Complete Peerage of England, Scotland, Ireland, Great Britain and the United Kingdom, Extant, Extinct or Dormant, new ed., 13 volumes in 14 (1910-1959; reprint in 6 volumes, Gloucester, U.K.: Alan Sutton Publishing, 2000), volume II, page 18. Hereinafter cited as The Complete Peerage. [S6] Cokayne, and others, The Complete Peerage, volume II, page 515. [S6] Cokayne, and others, The Complete Peerage, volume II, page 432. [S6] Cokayne, and others, The Complete Peerage, volume II, page 141. Her married name became Noel. After her marriage, Hon. 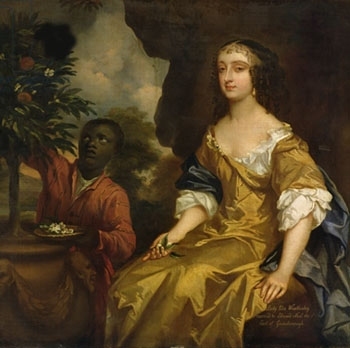 Hester Wotton was styled as Viscountess Campden on 8 March 1643. Thomas Wotton, 2nd Baron Wotton of Marley was born in 1587. He was the son of Edward Wotton, 1st Baron Wotton of Marley and Hester Pickering.2,3 He married Mary Throckmorton, daughter of Sir Arthur Throckmorton and Anne Lucas, in 1608. He died on 2 April 1630. [S6] Cokayne, and others, The Complete Peerage, volume XII/2, page 867. [S6] Cokayne, and others, The Complete Peerage, volume XII/2, page 865.